The foundations of a Business Intelligence solution are data transformations, data wrangling, data cleansing and ETL. A well-crafted Power BI project rests on Power Query and the queries that define the data model, calculations and report visuals. This full-day session will teach you how to lay the foundation for a Power BI solution with simple and advanced Power Query techniques. 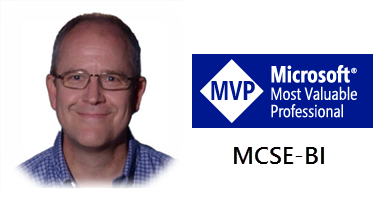 Learn from Paul Turley, ten-year Microsoft Data Platform MVP and veteran BI Solution Architect. You will learn best practice design patterns, tricks, shortcuts and proven techniques to improve your skills and add immediate value to your projects. Power Query is everywhere – and growing. The skills and techniques taught in this workshop apply to Power BI Desktop, the “Get Data” feature in Excel 2016+, SQL Server Analysis Services 2017+ (SSAS), Azure Analysis Services (AAS) and Data Flows in the Power BI Common Data Service (CDS). You will learn through exercises and instructor-led hands-on demos. Bring your laptop with the latest version of Power BI Desktop installed. The rest will be provided. We will cover material from basics through advanced. Each exercise is separate so you can absorb only what you need to learn, based on your prior experience, needs and skill level. Why do I need a Date dimension in Power BI? This entry was posted in BI Industry, Business Analytics, Power BI, Power Query, Self-service BI, SolidQ and tagged Power BI Training, Power BI World Tour, Power Query Training. Bookmark the permalink.